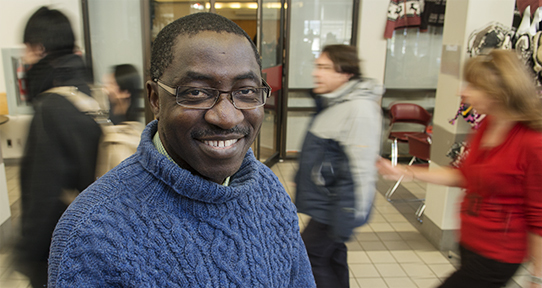 Moussa Magassa, UVic’s Human Rights Education Advisor, is also a PhD candidate in Curriculum Studies. Moussa’s research is about Islamophobia and the experiences of Muslim students with prejudice and discrimination on Canadian university campuses. What is worth knowing? Who gets to decide? How do we teach? Curriculum studies considers all aspects of teaching and learning. Our graduate programs are designed for working educational professionals who want to make an impact in the lives of their students. We offer a diverse range of master's and doctoral programs, full and part-time, on-campus or in the community. Our MEd programs are cohort-based and provide professional learning in curriculum leadership. Looking for more information and support from fellow students? Join the Association of Graduate Education Students (AGES).